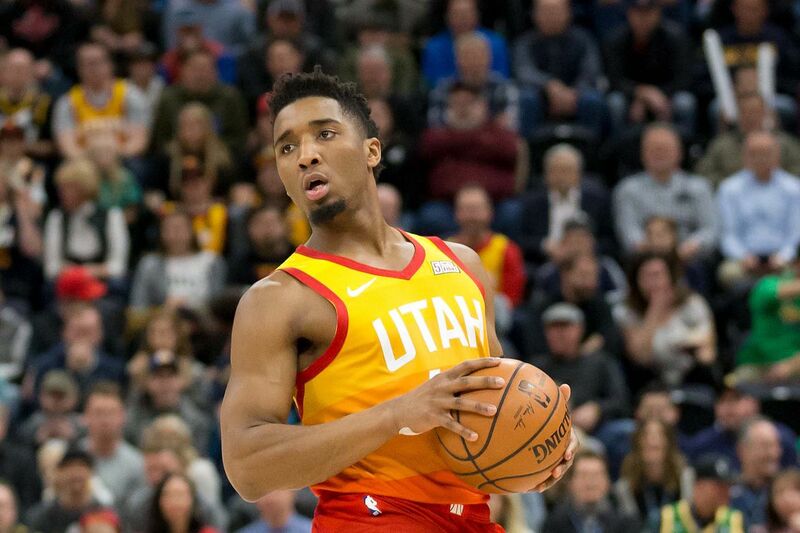 The Utah Jazz host the Denver Nuggets in a key Western Conference showdown on Wednesday night, with the sportsbooks giving the edge to the home side. The Utah Jazz are 6-1 straight up and 3-3-1 against the spread over their last seven games. The Jazz will try to bounce back from a loss to Portland on Monday with a win on Wednesday night at home against the Denver Nuggets. Utah is a 3-point home favorite on the NBA odds in Salt Lake City at sportsbooks monitored by OddsShark.com. While the Jazz have gone 6-1 SU over their last seven home games they are 0-3-1 ATS over their last four. Despite a 36-point effort from Donovan Mitchell on Monday night, the Jazz fell to the Portland Trail Blazers 109-104. Mitchell has been sensational over the team’s current 6-1 run averaging 30.9 points and 5.6 assists per game. Utah’s defense ranks third best in the league allowing only 105 points per game, so hot streaks like the one Mitchell is currently on will lead to plenty of games in the win column. The Jazz were three games under .500 at 14-17 SU back on December 17. Since then, the Jazz are 12-5 SU and 9-7-1 ATS per the OddsShark NBA Database. With the exception of a 1-6 SU and ATS slump back in November, all the Nuggets have done this season is string wins together. Denver is in contention for the top spot in the Western Conference with a record of 31-14 SU and 25-20 ATS. Nikola Jokic is enjoying a remarkable season for the Nuggets as he leads the team in points (19.6), rebounds (10), assists (7.7) and steals (1.3) per game. For as well as the Nuggets have played this season, they are a lot better at home with a record of 20-4 SU and 16-8 ATS than they are on the road at 11-10 SU and 9-12 ATS. Wednesday night’s total is set at 217 points at betting sites. The UNDER is 1-9 in the last 10 games between Utah and Denver. If Denver continues to play well and locks up a seed in the top three in the Western Conference, a first-round matchup against the Jazz would not be out of the question. These in-conference games have been interesting all season and will only continue to ramp up as the second half of the season unfolds.